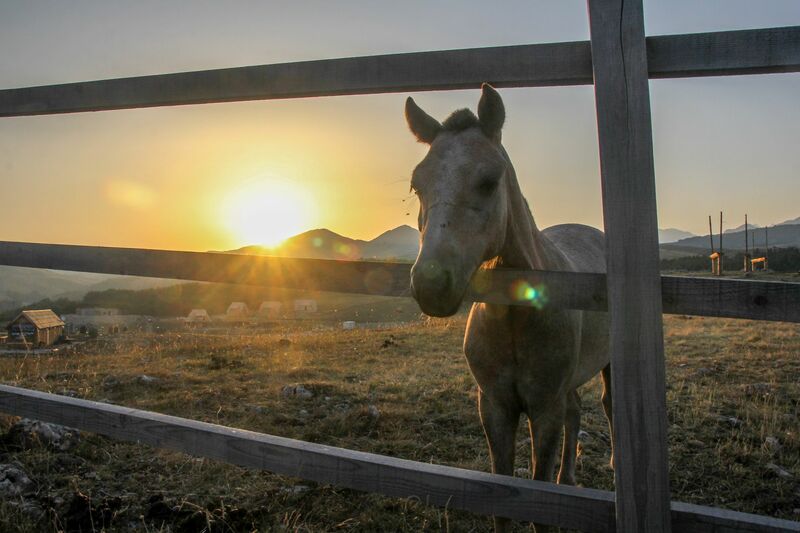 In recent years Durmitor has become a popular destination for nature lovers from all around the world. 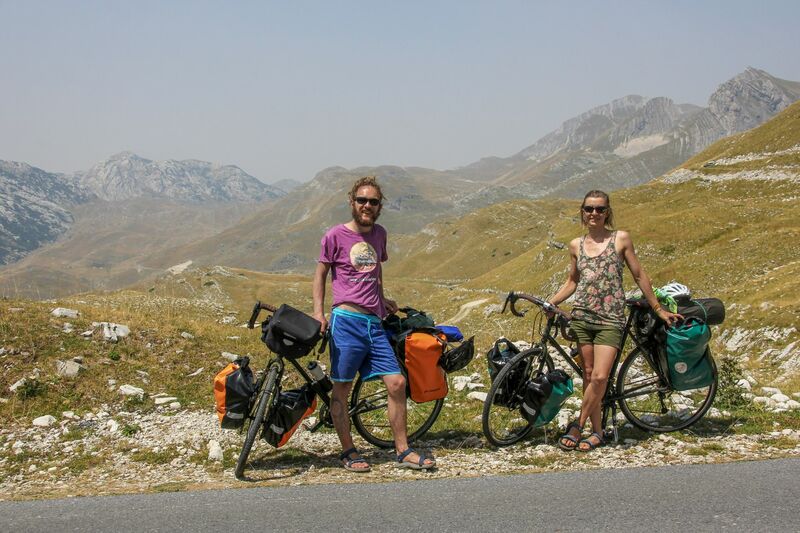 Everyone who travelled or plans to travel to the Balkans has probably heard about it. With no doubt, it is one of the most beautiful and spectacular mountain ranges the region. We took an opportunity to hike there a few years ago (details here) while coming back from our ten-month trip through Asia. 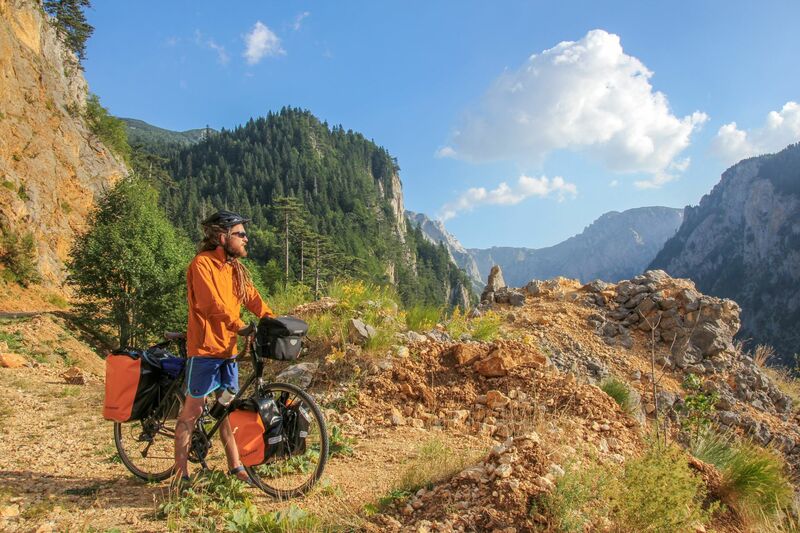 Now, when we got a chance to visit Durmitor again, we decided that the time has come to concur it on bicycles. Planing the route at first, we thought it would be interesting to extend a regular circle around the main massif by adding a northern leg, starting in the Nature Park Piva. We didn’t expect all roads to be paved, neither to find signs on every crossroad. Montenegrins, considered a rather lazy nation, in Durmitor utterly deny this stereotype and try to take a proper care of their natural treasure. This gave us the chance to discover the place in a totally new way, with almost no limitations. We arrived to Montenegro by car from Foča (BiH), expecting to find a small and quiet village of Šćepan Polje just at the border crossing. Indeed, the place was small, but definitely not quiet. Over the years, it has become one of the main points for organized rafting on the Tara river. So, during the season local businessman are waiting for western tourist groups to come by and enjoy overpriced and not much developed tourist infrastructure. We didn’t mean to stay there for too long and after short negotiations with the owner of one pension, we got a place to park the car, had a bite to eat, packed our bikes and started the trip in the soft afternoon sun. The route starts in no man’s land between the two countries, just some meters from the Montenegrin border checkpoint (you have to check in there anyway, if coming from Bosnia). 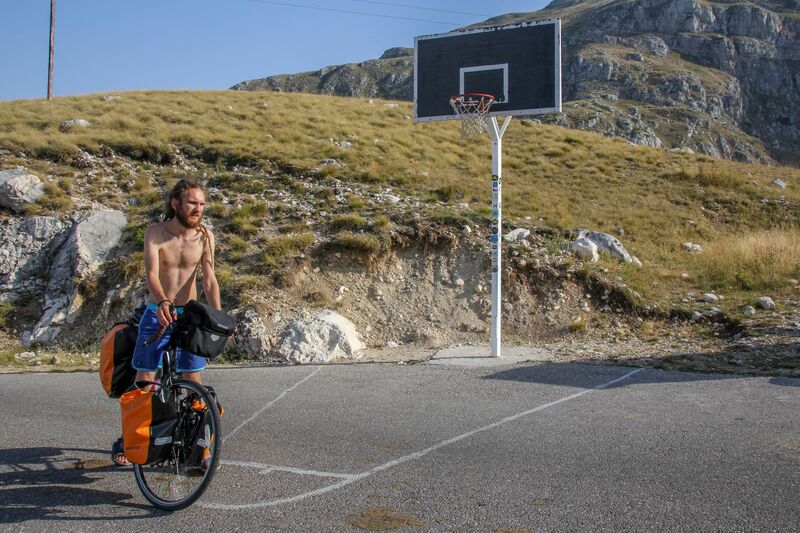 It’s hard to miss it, since it is the only way that joins the main road Foča – Nikšić between the border crossings. As soon as we found ourselves on the course, a steep ascent welcomed us to the mountains and gave us a break only after 9 kilometers. It took us a while to accustom ourselves to climbing up with heavy bicycles. At first we were riding through forest above the deep canyon of the Tara river. At some point the road turns right up and climbs the slope leading all the way to Crkvičko Polje village and its plateau. The directions are really clear and well visible on every single turn. Within 12 kilometers we gained about 600 meters and it was just enough to call it a day. We didn’t find any source of water on the way, but during summer you will usually find a bunch of helpful locals in the village. We were also offered a nice and safe place for camping by the ex-partizan hospital memory house. If you travel without a tent, you can sleep over here. After a relaxed, long breakfast and a nice chat with the locals it was time to hit the road. The first part of the route took us into a nice shady forest and offered a rescue from the renowned Durmitor’s summer heat. Over 5-kilometer climb brought us to the spring Graba, where we took an awaited refreshment in ice-cold water. After a lunch, we were finally rolling downhill for a while and soon got out of the forest. Suddenly we found ourselves in a beautiful open space comparable to Eurasian Steppe. 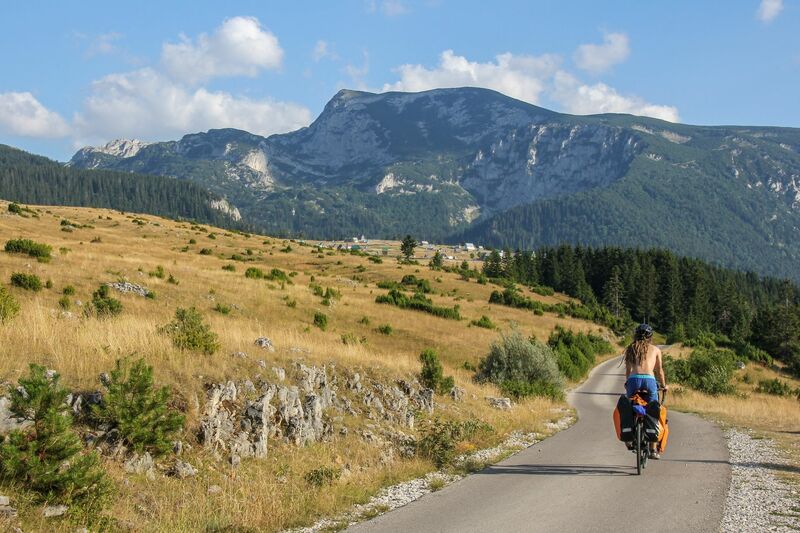 While we were passing by little and mostly deserted villages, the massif of Durmitor slowly started to become visible on our left, and mountains Maglić and Volujak on our right side. For the rest of the day we rode in a really nice ambient through hilly terrain, with almost no traffic. At the first sight our destination, the village of Trsa, reminded us the old Wild West towns. Tucked in the middle of nowhere, the village is a home to a number of private houses, apartments for tourists, two restaurant-cafes and one campsite. We couldn’t resist to quench the thirst with a cold beer before searching for a spot for our tent. Finally we pitched the tent on a hill above the village, wishing to have to space for ourselves and avoid paying for the campsite, which turned out to be not too smart decision. In the middle of the night we heard some noises coming from the nearby forest, which stimulated imagination and didn’t let us sleep properly. Just before the sunrise the bikes were already packed and prepared to go ahead, so were we. The most spectacular day of the whole trip started. Already in the very beginning, when the sun started to rise, we could relish a great perspective on the peaks of Maglić and Volujak towards the Bosnian border. Throughout a gradual climb, the landscape transformed from wide pastures into narrow valleys and rocky peaks. These were clear signs that we were getting closer to the heart of Durmitor and our biggest challenge on the way, Sedlo pass at the elevation of 1907 meters. To get there, we rode 28 km and passed the scenic valley of Todorov Do and the viewpoint over Bobotov Kuk, Durmitor’s highest peak. 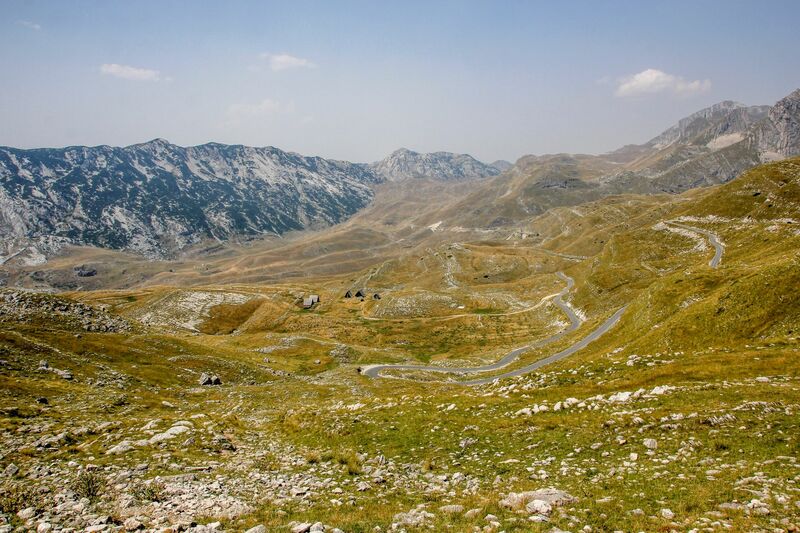 Once we made it to Sedlo pass, further way to Žabljak appeared pretty easy. Our legs could finally get some rest, since the downhill ended just a couple of kilometers before the town. On the one hand, Sedlo is a really spectacular place to bike through, but on the other, it is the most popular and highest spot that people can reach by car, so the traffic there is a bit annoying. 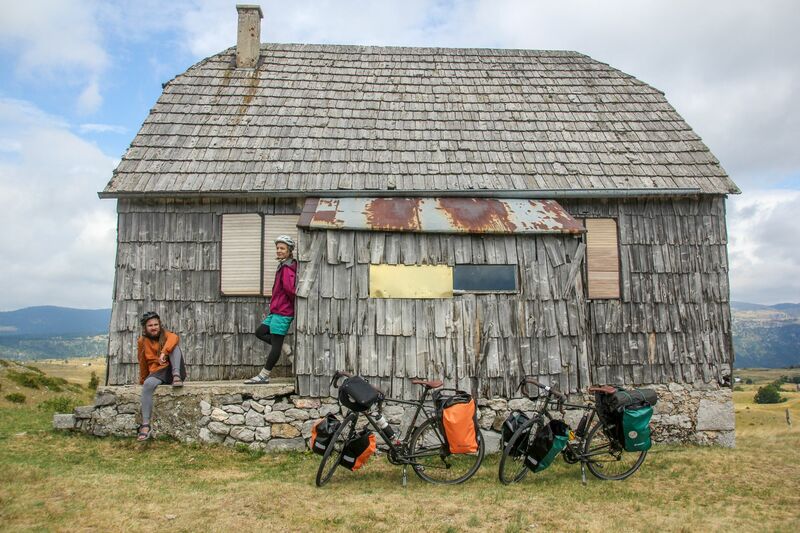 We arrived at Žabljak early enough to visit the town and shop for food supplies for the next two days of biking. Knowing the place already, without hesitation we checked in at the campsite Razvršje, laying on the hill just before the entrance to the town. As always, the owner Mišo welcomed us with homemade rakija and balkan style coffee. We left the town of Žabljak heading in the direction of Sušica canyon, following the signs to Momčilov Grad restaurant in the very beginning. The road ascended gradually. The higher we got, the views on Durmitor became more and more spectacular. Already a couple of kilometers outside of the town we entered into a pleasant forest shade, where we found an abundance of wild berries. Most of people pass here by cars, so they don’t notice all the delicacy waiting by the road to be eaten. Unfortunately for them! With full stomachs, the ride was even more enjoyable. After reaching above the forest line, we passed by an old cable car. The mountain breeze was a pleasant companion we had this day. While climbing higher, the breathtaking surroundings made us forget about the physical effort and simply enjoy the moment. In the meantime we rolled below the peak of Mali Štuoc and finally arrived at the foothills of Veliki Štuoc ,which was the highest point of the day. From there a beautiful panorama of the Tara canyon stretched in front of us. Besides marvelous views, reaching the viewpoint had one more advantage – the longest downhill during the loop, all the way down to Sušica canyon. However, the village of Nedajno lies exactly on the other side of the gorge and a solid climb up at the end of the day, just before the weather breakdown, was inevitable. The first morning without sunbeams heating up the tent was also our last morning in Durmitor. We spent last half hour in Nedajno over quite poorly brewed Turkish coffee, having a quick chat in the only guesthouse in the village, then we were off towards Šćepan Polje. In about 6 km the road from Nedajno westwards joins the way linking Crkvičko polje and Trsa that we were already familiar with. Still, unusually cloudy sky and different direction let us soak up a completly new perspective from this part of the way. We made it to Šćepan Polje in the afternoon, tired but with our heads filled with pictures, impressions and thoughts from the road we were part of for the last five days. Durmitor is obviously a beautiful place, but an individual sense of beauty that can be experienced only when you explore it using your own physical effort is priceless.